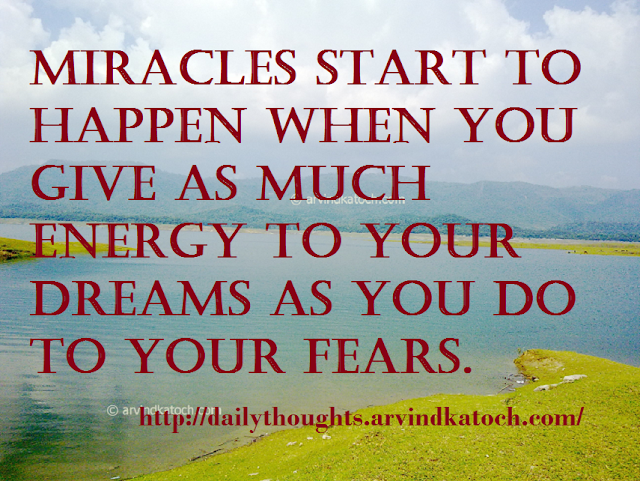 "Miracles Start to Happen when you give as much Energy to your Dreams as you do to your Fears. Richard Wilkins." Meaning/Explanation- It is common tendency of people to think negatively. Due to this negative tendency, people give energy to their negative thoughts and help them to become a reality. When we think positively and we give energy to our positive thoughts then we create a positive reality.